Here’s another recent acquisition – as in purchased this year. I remember picking it up at a Goodwill earlier this year and haven’t played it yet. It’s precursor though, my friends and I played that a great deal. While not a big fan of the property, I’ve always thought the Clash of Ninja series punched above its belt in terms of licensed anime fighting games. The games are lacking in a lot of the same ways most fighting games are: no in-depth single player mode or story and little extras to keep playing outside of multiplayer. The combat has always felt really good though – very fast-paced, partial to button-mashing, but great fun locally. 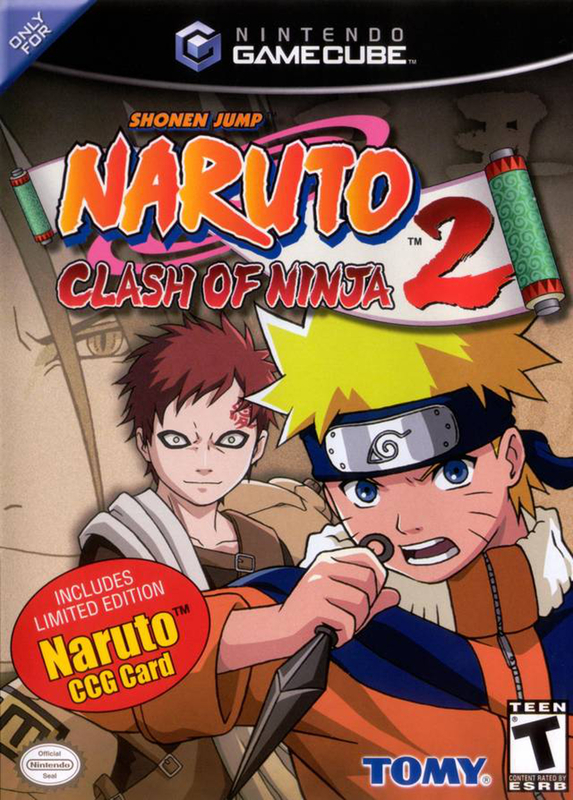 Naruto: Clash of Ninja 2 was developed by Eighting and published by D3 Publisher in North America on September 26, 2006. However, it was originally released in Japan on December 4, 2003 – nearly three full years earlier. Yes! The Clash of Ninja series was one of the first line of games other than Mario Party that my wife enjoys sitting down to play. That’s an interesting series to get into. Of course, I imagine she has a penchant for the source material. My friends and I played the first game a great deal. They could make a Mario Kart clone with a deep roster easily.